Community urged to come forward about interactions with Paul Mafnas, Jr.
Where will all the Cabras oil go once the plant shuts down? The Leon Guerrero-Tenorio administration raised and spent $666,000 in "transition and inaugural funds," but it appears there's no one to hold them accountable for how they spent the money or what they spent it on. The Lou and Josh team raised a record $1. Watch KUAM News or listen to I94FM or Isla 63 AM where we'll announce the special celebrants of the day every weekday. And Every Friday, one lucky person will win a birthday cake compliments of Coldstone Creamery! 2015-09-14T07:16:37Z The hum of a generator could be heard outside DOE's headquarters - the consequence of a delinquent bill that left employees in the dark. 2015-09-14T07:12:06Z Broken legs, a fractured skull, and damaged kidneys - just some of the injuries dogs Rex and Lucky sustained as a result of a brutal beating. 2015-09-14T00:58:55Z DOCOMO Pacific announced plans for a new fiber optic cable between Guam and Saipan, citing increased connectivity and lower cost bandwidth. Watch "Healthy Living with Dr. Jitka Lom" every Tuesday on KUAM News Extra and signup for the ExpressCare weekly newsletter on Facebook for extended tips about living a healthy island lifestyle! 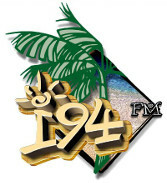 Listen to i94-FM LIVE! Listen to Isla63-AM LIVE! See all the events, gatherings and community goings-on around the island! The acts of good neighbors in our community often go unnoticed. The Good Neighbor Award is a monthly feature highlighting the everyday acts of selflessness among everyday people!